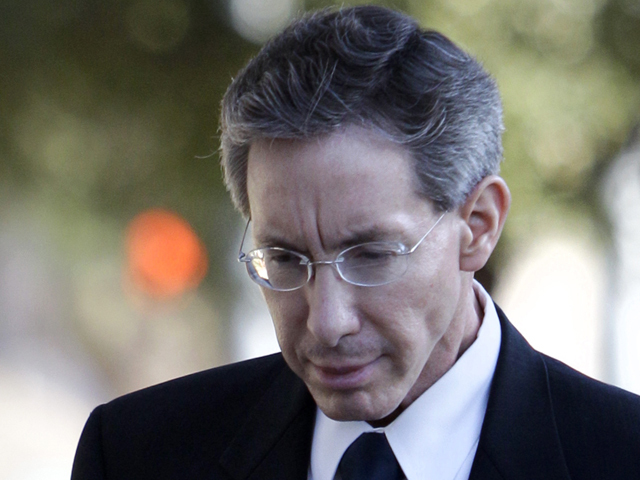 (CBS/AP) SAN ANGELO, Texas - The child sexual assault case against polygamist leader Warren Jeffs went to the jury Thursday, after Jeffs stood mostly mute for his closing argument. The 55-year-old head of the Fundamentalist Church of Jesus Christ of Latter Day Saints has acted a his own attorney. Jeffs stood expressionless, staring at the floor, for all but a few seconds of the half hour he was allotted. At one point he mumbled, "I am peace," and said no more. Jeffs is accused of sexually assaulting both a 12-year-old and a 15-year-old he had taken as "spiritual wives." Jeffs and his followers believe polygamy brings exaltation in heaven. Prosecutors used DNA evidence to show Jeffs fathered a child with a 15-year old, and played an audio recording of what they said was him sexually assaulting a 12-year-old. Before closing arguments, Jeffs asked that in the judge's instructions to the jury, a provision be inserted to "find a man or individual innocent based upon pure religious intent and constitutional freedom of religion, with the need of greater understanding of that religious faith for true justice served to be given." When it was time to make his closing, Jeffs sat for a long pause, then stood. Eleven other FLDS men were also charged with crimes including sexual assault and bigamy. stemming from the same police raid of an FLDS compound in west Texas in April 2008. All seven of those who have been prosecuted were convicted, receiving prison sentences of between six and 75 years.